The detection was unexpected… it came so soon after we turned on the new detectors. Many had expected the first gravitational wave detections in 2017 or even 2019. The fact that it happened early implies these types of signals (mergers of black holes) are more common than we expected. This may imply that heavy black holes are more common. Over the past few years, a lot of work has gone into improving the lasers and mirrors of the instrument (LIGO detector) and search algorithms to help detect the signals. Further improvements will make them even more sensitive in the future. Even after the detection, we are still a long way from a unified theory of matter and gravitation. Matter by itself is still well modeled by the standard model of particle physics and nothing in these LIGO results changes that. In the future we may be able to see relatively nearby neutron stars (hundreds of light years away) spinning and emitting gravitational waves, which will tell us a lot about the matter that makes these up. If we are lucky, we may see a supernova explosion in our Milky Way and gravitational waves will tell us a lot about how that happens. To take maximum benefit of gravitational waves requires a worldwide network with detectors placed widely across the Earth, all scanning the sky together and combining their results. Detectors that are under construction or are being planned in Italy, Japan and India will greatly help in this. We will definitely see a part of the universe that we have not seen before. LIGO provides what is essentially a new sensory perception to the universe. It’s as if we did not previously have ears, and now we do. Now that we have ears we are able to hear the “sounds” of the universe, ie gravitational waves. And these “sounds” can tell us a lot of new information about the universe. Gravitational waves are extremely weak. Hundred years ago we simply did not have the technology to detect them. There were no lasers, no computers, no modern concept of feedback control, all things necessary to make our detectors work. We had to invent all of these technologies before we had the possibility of detecting these waves. LIGO underwent a complete upgrade of our detectors between 2010 and 2015. We replaced every component of the system besides the vacuum system. We installed new seismic isolation systems that could provide more isolation of the interferometer from ground motion. We installed more powerful lasers to increase the light power circulating in the interferometer. We installed new, larger test mass mirrors that reduce the effect of thermal fluctuations. We installed new computer control and automation systems. All these things helped us increase the sensitivity from 3-10 over the frequency band of interest. Einstein’s General Theory of Relativity is one of the major pillars of modern physics, along with the standard model. However, there are still issues about unifying GR with the Standard Model. Unfortunately this first detection of gravitational waves does not really help us unify those two theories. Gravitational waves won’t tell us much about the immediate or local solar system, since nothing in the solar system can generate gravitational waves strong enough for us to detect. It is possible that events in our Milky Way galaxy could produce gravitational waves that we could detect, which would be very interesting. We expect that most of our future events will come from outside our galaxy, though. Gravitational waves reveal a different side of the universe, ultraviolet events revealed by their shaping of space and time themselves. We will truly see a different universe! The background is the continual splashing of gravitational waves about the universe…LIGO’s job was to look for the splashes, ripples from violent events. Gravity and quantum mechanics don’t work well together, so we don’t really understand the particle nature of gravity. Science embraces failure. Science understands risk and the LIGO team, I am sure, worked long and hard to make this result as robust as possible. In some ways, the detection of gravitational waves just confirms the way we have thought the universe operated. In particular, it confirms a long-standing prediction of general relativity, adding to the earlier experimental confirmations of that. We also expected gravitational waves to be real based on the astronomers, who have tracked the changes in binary pulsar orbits. But it is wonderful to be able to detect the waves directly! We can see the universe in a new, different way. The fact that we detected two heavy black holes merging as our first signal is really interesting. 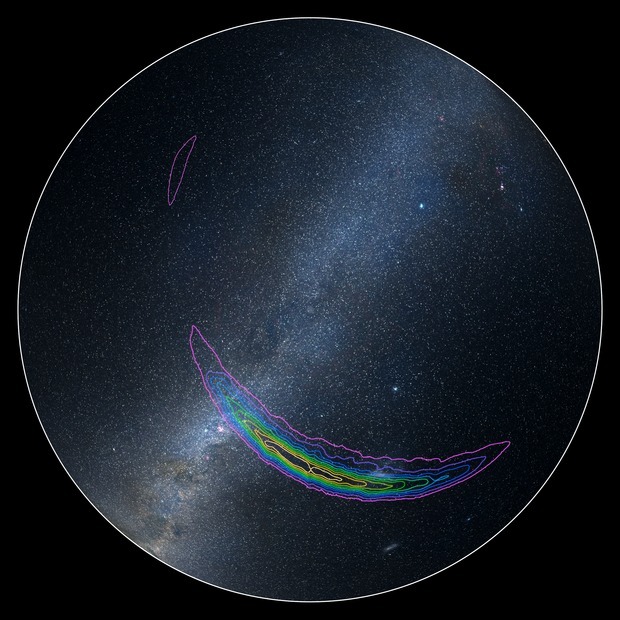 Some people expected that to be a common source while others did not, based on different astrophysical modeling. So this event already is telling us something about how stars form and evolve to produce heavy binary black hole systems. Since events like binary mergers are rare, we have to be able to search a large volume of the universe, and the ones we detect will tend to be rather far away. The gravitational-wave strain is typically so tiny when it reaches the Earth, it took many years of research to arrive at detectors which are sensitive enough. The first detection has already given us surprises. First, no one knew if binary black holes really existed in the universe. Our discovery has conclusively shown that binary black holes not only exist, but they coalesce within the lifetime of the universe. Second, astrophysicists until recently thought that evolution of massive stars, howsoever large the progenitor star might be, cannot form black holes of masses greater than about 20 or 25 solar masses. Our black holes have masses of 29 and 36 solar masses, give or take a few. We now have evidence of the existence of heavy black holes. The event we have observed is the most luminous event in recorded history. No one before Joseph Weber in 1959 tried building a gravitational wave detector. Physicists, including Einstein, doubted their very existence and this was resolved only in the late 50s. Moreover, to make detections we need to cover a volume of space that is large enough for the events like black hole collisions to occur regularly. In fact, up to 2009, LIGO and Virgo took data with a sensitivity that covered only one-hundredth of the volume that the advanced LIGO is now able to scan, but failed to detect any signals; so while the technology has been there the event rate was not good enough. Gravitational wave sources arise from regions where gravity is strong, so strong that objects get accelerated to the speed of light. 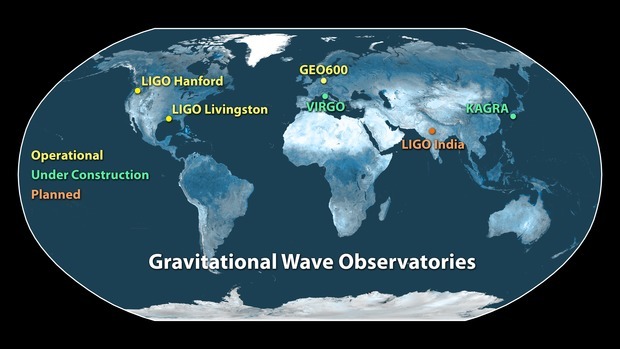 Gravity is weak in the immediate surroundings and there is no way to explore it using the gravitational wave window.Detectors like LIGO consist of two 4-km long arms perpendicular to each other and their lengths are monitored using high-powered lasers. What we do is to compare the length of one of the arms to the other. When a gravitational wave passes by it stretches one of the arms and squeezes the arm drying one half of a gravitational wave cycle and this reverses during the other half. So, by carefully monitoring the arm lengths, we can detect a passing gravitational wave.LIGO detectors are currently operating in the frequency range of 30 Hz to a kHz. All advanced detectors are designed to work over a frequency range of 10 Hz to a kHz. 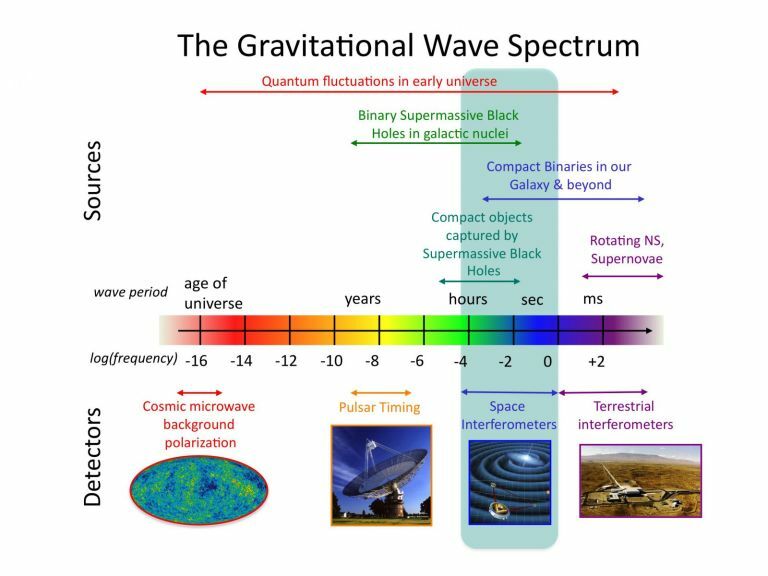 Future detectors that are currently being designed (for instance the Einstein Telescope) are likely to have sensitivity all the way down to 1 Hz. Lower frequency sensitivity will help us observe signals for longer. In addition to detectors on ground, the European Space Agency has plans for a space mission called the Laser Interferometer Space Antenna or LISA, which will be sensitive to wave frequencies of 30 micro-Hertz to 1 Hz. We can also detect gravitational waves by monitoring the arrival times of radio pulses from pulsars. A global effort to detect signals in this way is called the International Pulsar Timing Array, or IPTA, which will be sensitive to waves of nano-hertz frequencies.